Our trekking destinations and adventure experiences will continue to grow, so sign up to our adventure newsletter to be kept up to date as to where we are planning to head off to next. Join us for a weekend adventure through the beautiful Blue Mountains in NSW. We will trek 45km from Jenolan Caves to Katoomba and spend a relaxing and well deserved night at the tranquil ecolodge on the Cox’s River. You only need to carry a daypack because this adventure is fully supported by our experienced adventure team and support vehicle. Join us for this daypack only 4 day fully inclusive and professionally guided adventure exploring the Three Capes and the Tasman Peninsula on Tasmania’s rugged and beautiful south-east coast. Each day won’t be the same, with a different day trek exploring some of the most unique and beautiful coastal landscapes in Australia, if not the world. Regarded as perhaps the most iconic trek in Australia, the Overland Track definitely lives up to that reputation. 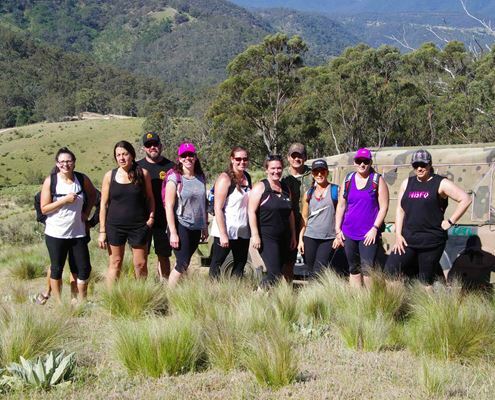 Join us on this adventure as we trek through the beautiful Tasmanian Central Highlands. You will be surrounded by majestic landscapes and a diverse range of flora and fauna that only a world heritage listed wilderness area like this can deliver. Climbing to ‘The Roof of Africa’, is an experience that will leave you with lasting life memories. Join us on this 10 day adventure to climb Mt Kilimanjaro, the highest free-standing mountain in the world. Our guides are regarded as some of the best on the mountain and will provide the necessary support to give you the best chance of summit success. A great way to boost fundraising for your charity organisation is to undertake an adventure charity challenge. Having raised in excess of $250,000 for various charities, we understand what’s required to make a charity challenge a successful and safe event. Our extensive adventure experience will ensure your members are professionally supported. All of our adventure packages can be run on a private group basis, so if one of our current adventures doesn’t suit your preferred date, or you’d like to fine-tune the itineraries food, accommodation or even change the itinerary around to suit your needs, please email us to discuss your group’s requirements. We can cater for both small and large groups.